If you are like me, ready to embark on hunting season now that it feels more like hunting season, you need to remember to take care of your boats and watercraft before it gets much colder. 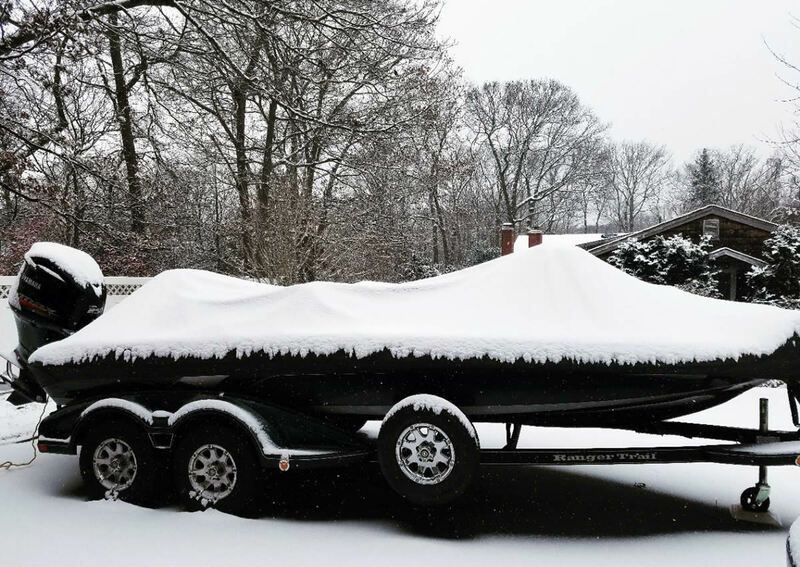 Even if you plan on using your fishing boat during the winter, there are a few things you need to do in order to protect your investment and avoid costly repairs. 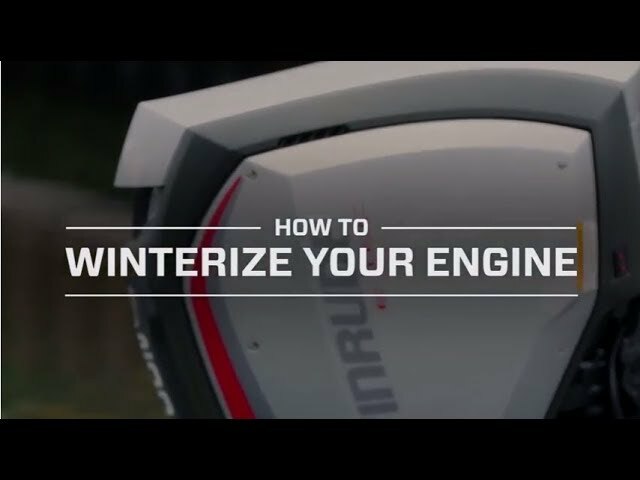 If you own a boat that you will definitely not be using during the cold weather months, such as an inboard ski boat or a personal watercraft, you should consider having it winterized by a professional. For starters, someone needs to drain the water from your motor and use fogging oil to protect the inside of the motor to be prepared for the cold months ahead. Sure this can be a pretty simple DIY project, but some people don’t have the tools or the time. No matter what your situation is, you want to make a choice before it’s too late in the season. WHAT IF YOU PLAN TO USE MY BOAT DURING THE WINTER? 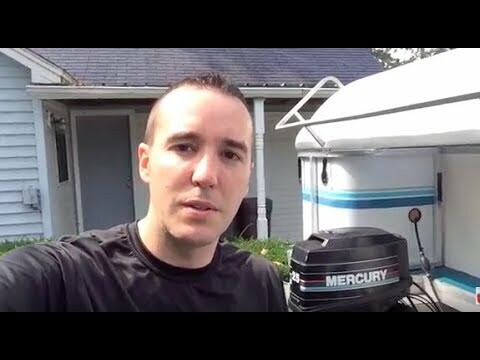 Now, what if you plan on using your fishing boat during the winter months like I do. For starters, try to get your boat inside somewhere. The garage would be a great place. 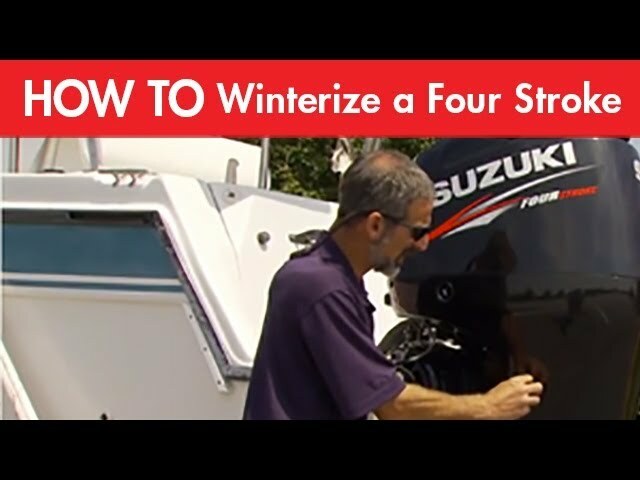 If you cannot use the garage or do not have one, it might be worth the money to rent a storage space for your boat to protect it from the elements during the cold weather months. The price of the storage unit for a few months would certainly be cheaper than repairing a motor damaged by freezing weather. If both of these options are out of the question, at least get the boat covered with a tarp or boat cover. This will not be as good as being stored inside, but it will be better than nothing. Each time that I come off of the water during cold weather months, I pull the drain plug on my boat and store it jacked up so the water will run out of it. I turn on my aerator pumps and bilge pumps to make sure all of the water is out of the lines to prevent them from breaking in freezing weather. I also trim my motor all the way down after coming off the ramp to allow the water to drain out of the lower unit of my motor. Water trapped inside the lower unit can freeze causing severe damage to the seals and the lower unit housing. This is especially important for boats stored outside. If you must store your boat outside during freezing weather, as I have had to do in the past, it might be a good idea wrap the lower unit and prop with a plastic bag to prevent water from entering the lower unit should it rain, sleet or snow. It is also advisable for boats being stored outside to be stored with the motor trimmed down to help prevent water from entering the motor. Finally, don’t forget the batteries. I like to keep my batteries charged up at all times. I never know when the weather might turn nice and I want to go fishing, but more importantly, it is better for your batteries to keep them charged. They will last longer if you keep them charged. It is extremely important to protect them from freezing. If necessary, remove them from the boat and store them somewhere they can be protected from freezing.